Dorian Vai was born into a privilaged family on Zelos II along with his twin sister Miila Vai in 338 ABY . His parents were the proud owners of one of the planet’s most successful mining networks which brought great wealth into their household, however, it also meant that they were rarely home with their children and thus, Miila and Dorian were by and large raised by a long list of house servants. Unlike his sister, Dorian grew to be a bit selfless when it came to his sister. Not having his parents around to really raise them, he took it upon him self to take the lessons and guidence from the staff to heart. Where his sister would grow angry, he would simply accept it. He has done his best to always be there for his Miila, even if it ment getting in trouble him self. 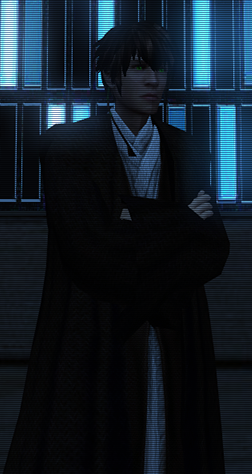 In 342 ABY came, and in it’s third cycle the Vai’s hosted a Jedi diplomat in their home during a lengthy business dispute regarding the price of raw ores. During his stay, the Jedi learned that both of the Vai children were strong in the force, and by the end of the negotiations, he’d convinced the Vai’s to allow a recruiter to take both Miila and Dorian to Ossus for initial testing, before they are dispatched to the Jedi Praxeum on Rannon.